Where has the time gone? 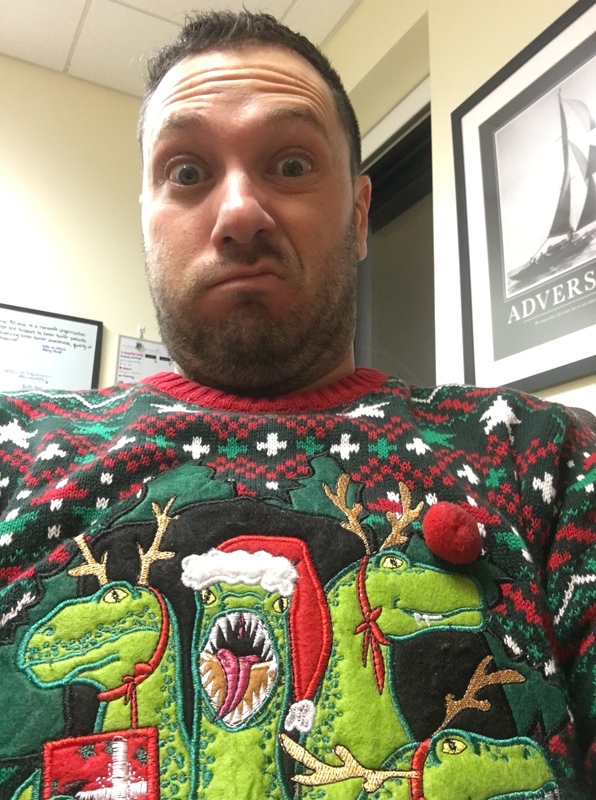 Admittedly, and my apologies to all of you, but since starting my new position, my blogging has gotten away from me as I have needed to give more of myself to the position and to get my feet under me. However, with this work, my commitment, passion and dedication to the cause has only grown. Santa responded favorably to my list, but the end of 2018 was still difficult. As the Board and I continued to process the loss of Tracey, the strongest brain tumor warrior I have ever met, I kept asking “why?” but remained committed to the fulfilling our mission. During our first Board meeting in 2019, a common thread formed – though we were collectively hurting, our commitment and dedication was unwavering. The CT Brain Tumor Alliance will continue to assist patients and families, serving as a resource to bring awareness, hope and partners together to find the cure and help everyone facing this diagnosis. The passing of Tracey has been very difficult, but I am so proud of her family, friends and our Board, all of whom are resolved to continue her legacy and push the needle further in helping to make Connecticut a center of excellence in brain tumor care. I previously mentioned the picture in my office of her and I, and upon arriving every day, I look at it for my inspiration and hope that I can make half the impact that she did. So, to that end, Connecticut, get ready. The CTBTA is coming for you and we are moving full speed ahead with two great events on May 4th to kick off Brain Tumor Awareness Month. There are just under three weeks from the big day and the excitement and pressure is mounting. Sure, two events in one day may seem insurmountable to some, but I am determined to make it an exceptional day. Thanks to our many sponsors who are supporting these events, all of the participants currently registered, and our dedicated group of volunteers, it is our commitment to bring hope to all who are fighting and allow the hospitals we partner with to continue their advancements. May 4th, 2019 will be remembered as a day of mutual celebration where we all rejoiced and said “we did it!” Here’s to you Tracey. It’s been a while since I wrote you and I’m taking a leap of faith as I write to you again this year, but what do I want for Christmas??? Well, since you asked, here it is. It’s a bit unusual, but it’s my grown up Christmas list. First, please help the hard work of our organization so that we may continue to enable the doctors and researchers to advance treatment methods. Brain surgery is certainly not fun and takes months, if not years, to fully recover, so we want to see the day that surgery can be less invasive and to continually improve the standard of care for brain tumor patients. Next, we need more clues and positive results to understand the drivers and causes of a brain tumor. Help us to understand the underlying cause of a brain tumor so that the doctors and surgeons could take proactive measures to treat this disease. Completion of this will help bring us my third wish, the cure! Fourth, please bring those who are suffering comfort and support. Whether they are recently diagnosed; a brain tumor warrior; a caregiver; or a parent, friend or family member of someone who is battling this diagnosis or coping with the insurmountable loss, everyone needs additional help and hope. We pride ourselves on doing the best we can do provide hope and support, but our reach only goes so far and additional resources are needed. Finally, the brain tumor community could use more joy and laughter. This is a difficult diagnosis to cope with, but hope, laughter and joy are the best medicine. I know this is a lot, and you might not be able to help with everything this year, but it would mean the world to all of us in the brain tumor community if you could help in any way possible. I’d appreciate it! p.s. I’ll leave cookies and milk! p.p.s. Don’t forget gifts for Ashley and Coddington! 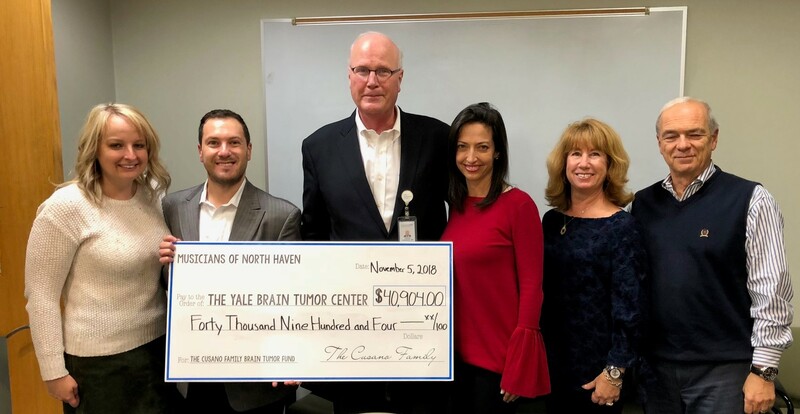 There are not many instances where you would say a hospital visit is pleasant or joyous, but our annual check presentation from the Cusano Family Brain Tumor Fund to the Yale Brain Tumor Center stands as one of the few exceptions. Along with Ashley and my parents, we went back to the place that is all too familiar for all of us. Walking through those doors, I’d be lying if I said a myriad of thoughts wasn’t running through my head. 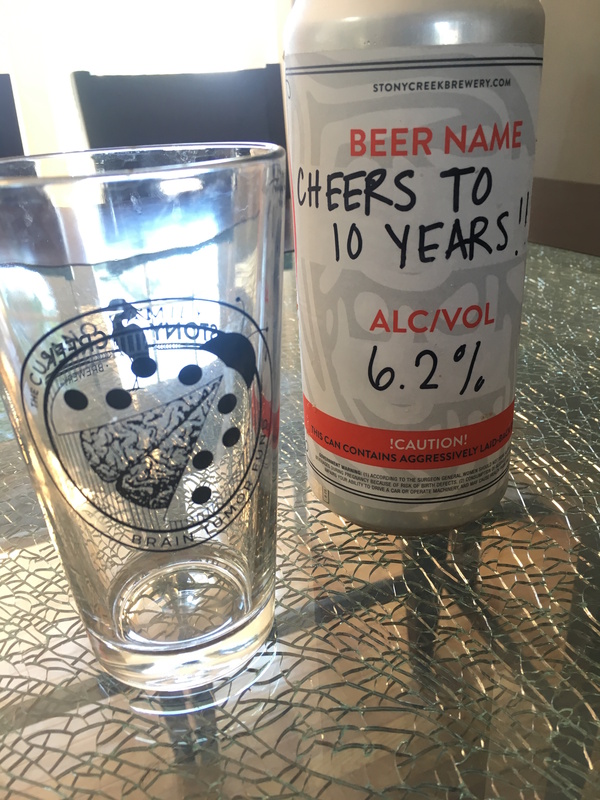 Ten years ago, I thought I was never going to go home from the hospital. Monday was different though. I could not run into the building fast enough as I was beaming with excitement and pride over what my family, friends, community partners and new acquaintances have done, and will continue to champion. Thanks to all of you for your support this year, we presented a check for $40,904.00! As a third party fundraiser for the Yale School of Medicine, I am proud, and speaking for my family, I know they are too. Because of you, our friends and supporters, there is hope for brain tumor research and for patients. Because of your participation and support, the doctors and researchers were enabled to take their research on central neurocytoma far enough to apply for federal funding from the National Institutes of Health (more on this coming soon). The community has rallied and shown that a brain tumor messed with the wrong person (and family), and I am forever grateful for each and every one of you. Together, since 2014, this gift fund has raised over $198,000 for The Cusano Family Brain Tumor Fund that is being used toward brain tumor research at Yale. We have also forged relationships and friendships that will last a lifetime – countless partners, supporters and fellow brain tumor warriors that I have met along this journey. Additionally, because of this event, I have friendship with Ed Jr. and the crew at Stony Creek Brewery and hope to have a collaborative effort on a charity beer that was sampled and brewed by Stephen and I. We have also brought awareness to brain tumors and as my dear friend Tracey would say, we are making this journey a little less scary for the next person who is diagnosed. But above all, we have developed a friendship with the doctors, nurses, researchers and development officers at Yale. Each time I see them, I always begin by reminding them of my gratitude for saving my life and enabling me to sit here and write this entry. I am hopeful and confident that together, we can and will make this diagnosis a little less scary. With all of the good synergy and willingness to collaborate among the doctors, researchers and nonprofits such as the Connecticut Brain Tumor Alliance, better treatments will continue to develop until ultimately, the cure will be discovered. I am speaking only from what I can see and what I believe, but I trust we are on the precipice of a breakthrough. Sooner rather than later, the brain tumor community will have its “ah-ha!” moment. Until then, our work must go on and we will continue to say thank you in the only way we know how. The brain tumor community lost one its greatest advocates and the fiercest warrior I have ever met, and perhaps will ever know, this past Friday. 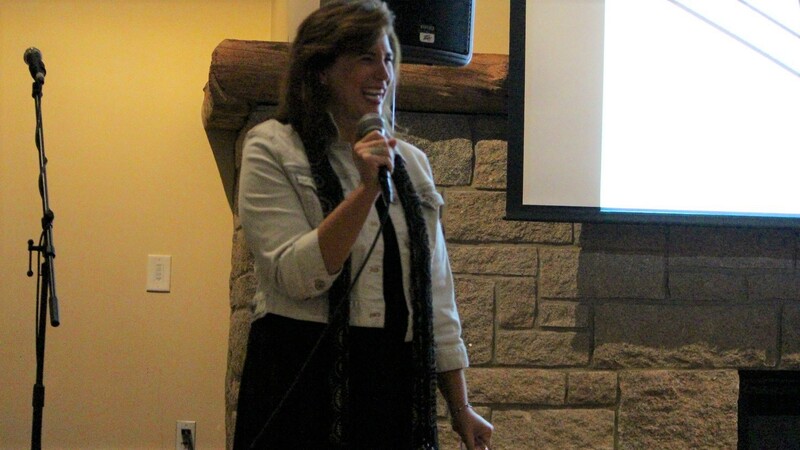 Tracey Gamer-Fanning-Shimer, a co-founding member of the Connecticut Brain Tumor Alliance and its first Board president, passed away after her courageous battle with brain cancer. Diagnosed in 2006 and given three-to-five years to live, she inspired many and touched countless lives, including mine. I first reached out to the CTBTA in 2013, five years after being diagnosed and in need of an outlet for support and comfort. The organization welcomed and embraced me with open arms, but Tracey and I had a special bond that I will cherish forever. I know I am not alone in this, but she taught me the meaning of perseverance, love and how to truly enjoy life. She was the most selfless and inspirational person I have ever met. Never once did she complain or feel sorry for herself. Always smiling and having a good time, she would come out and say something that made you do a double-take, but this was the Tracey that we knew and loved. 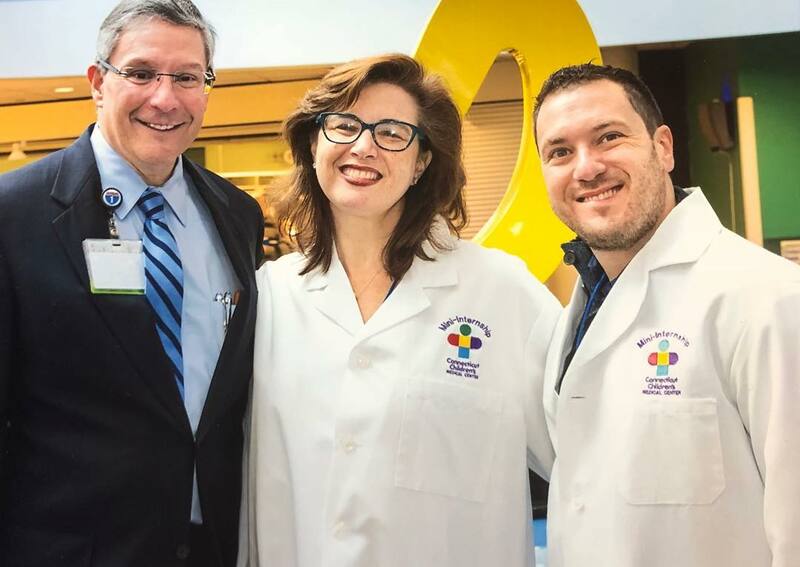 Yet, aside from how great of an individual she was, she also changed lives and made a profound impact on the brain tumor community, especially here in Connecticut. The one thing about Tracey – she always, always put her friends and the brain tumor patients before her. She allowed us to have a voice and spill our emotions. Even when I knew she was not feeling her best, she would attend a Gray Ribbon Club meeting so that she can provide comfort and hope to someone battling. She would often remind me – we are paying it forward. That sort of compassion and love is not something you see everyday. So Tracey, thank you for changing my life and the impact you made on me. I admire you and everything that you did. I will hang tight to the memories we shared and I promise to continue your fight. It was an honor and my privilege to work alongside you in this mission and I promise to make you proud. Rest in peace, my dear friend and I will see you again. Ahhh, September is finally here! And that means Brainstormin‘ is literally just around the corner. My family, friends and I are hard at work, getting last minute details squared away and ensuring that Friday night will be one to remember. To those who have their tickets, I look forward to seeing you there. For everyone else, you can purchase them at the door! Friday, September 14th at 6:30 at Stony Creek Brewery. We have sponsors; we have iHeart Radio’s Renee DiNino as emcee and Ann Nyberg of WTNH as our special honorary guest; we have the cover band Heat; the Carla’s Pasta truck will be on site; we will have a commemorative toast with beer brewed by Stephen and I; raffle and auction items that you won’t want to miss; but most importantly, updates on the central neurocytoma study that your funds have supported by surgeons at the Yale Brain Tumor Center. In the five years that we have done this, there has been one constant and that is the support of our family, friends, coworkers, survivors, warriors and caregivers alike, as well as new faces from around the community. Without your never-ending generosity, this would not be possible. Because of you, I have hope. Because of you, brain tumor patients and their families have hope. Because of you, better treatments are being found and we are inching closer to the cure. As a ten-year survivor, there is nothing more that I could have asked for when I was diagnosed. At the outset, I was afraid, albeit confident. I fought hard to regain all that I lost. When I finally returned to my old self and came through this adversity, I knew I wanted to make things better for the doctors and patients fighting this disease. Because of you, I found it within myself to want to champion this cause and give back. On Friday night, come out and be prepared to have fun. Open your hearts and your wallets and help to find the cure. Yankees and Red Sox fans, there’s something for you; if you’re a fan of the Giants, come on out; Elton John fans! food lovers! You get the hint – we have awesome prizes. 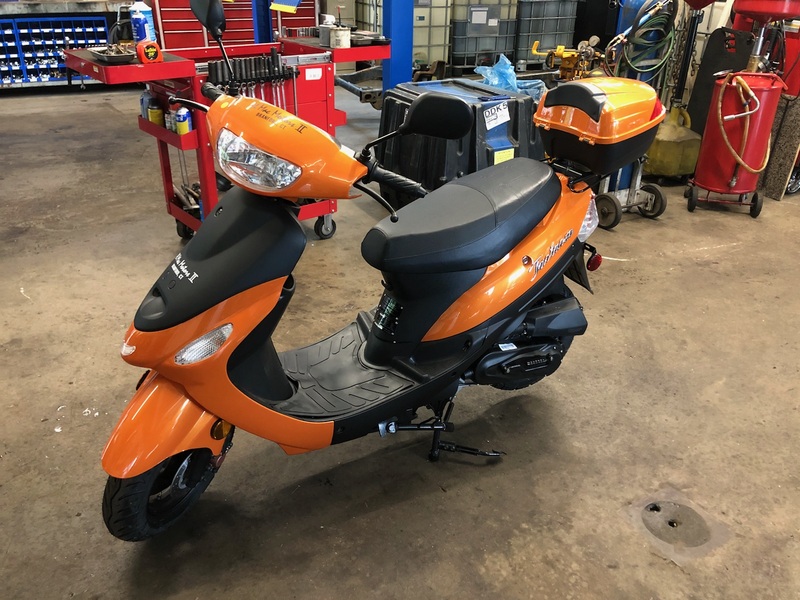 And someone will ride home on this, thanks to my brother-in-law and owner of Al Mac Motors who has donated a scooter every year this fundraiser has been held. Growing up, I always enjoyed puzzles, despite my short attention span, growing frustrated as I tried to put them together. As I sit here and write this, the irony sets in as I now view my life as one giant puzzle and slowly but surely, a complete picture is beginning to take shape. I have my health, happiness and career pretty well set. There’s a couple of other parts that are still coming together, but I know that’ll be only a matter of time. As I’ve alluded to a few times, following my surgery in 2015, I was contacted by a resident at Yale who was undertaking a research project to better understand the underlying genetic alterations that cause neurocytoma. The research lab obtained a portion of my tumor and I agreed to donate a blood sample to allow them to analyze my DNA to look for any genetic markers. For everyone involved, we all wanted answers on this particular tumor and to immerse ourselves in knowledge about its origins, genetic markers and hopefully, how to treat it at an early stage. A neurocytoma is a very, very rare tumor, as evidenced by the literature, or the lack thereof of this tumor type. As such, finding an abundance of these tumors in Connecticut, or across the country, was difficult. At the outset of the origination of The Cusano Family Brain Tumor Fund, funds were used as seed funding to help propel research efforts forward to an effective treatment of any type of brain tumor. This past fall, when my family and I made our annual visit to Yale to present the net proceeds for 2017, a proposal was made to us that a portion of the funding be used to complete the study on neurocytoma, which my family and I emphatically agreed to. Through the use of the funds raised through Brainstormin‘, additional samples would be obtained from around the world to allow researchers to continue to test their hypothesis. I invite you to enjoy some photos and the abstract of the study prepared by the Gunel Lab, which you can hear more about on September 14th! With gracious support from the Cusano Family Brain Tumor Fund, the Gunel Lab at Yale University, has begun to comprehensively characterize the genomic features of Neurocytoma, a rare type of brain tumor, that has long been poorly understood. In addition to the Yale School of Medicine, a large cohort of tumor samples has been collected from other international collaborators, including the University of Bonn Medical School (Germany), University Hospital of Cologne (Germany), Acibadem University School of Medicine (Turkey), Bahcesehir University (Turkey), Pittsburgh University Medical Center, University of California, and the Canada Brain Tumor Repository. Using unbiased molecular approaches, the Gunel Lab aims to understand the underlying genomic events driving tumorigenesis (formation) in these tumors. Ultimately, the hope is that these findings will lead to the development of targeted, personalized treatment for Neurocytoma, leading to improved survival and quality of life for these patients. To this end, the Gunel Lab has used complementary genomic experiments and bioinformatics approaches on a subset of collected samples. With completion of the first round of experiments, they have successfully identified preliminary clues about the molecular processes driving and causing formation of these tumors. A second phase of experiments to further understand these mechanisms is planned, with the hope of sharing their findings with the scientific community to facilitate the development of targeted treatments for this disease. The Gunel Lab is grateful for the generous support from the Cusano Family Brain Tumor Fund, and their supporters, to continue and complete this important work for patients with Neurocytoma. With your help, we are on the precipice of something great and I am beyond grateful and humbled by every single donor and company that has supported us year after year. Let’s help the staff at Yale get to the bottom of this by advancing brain tumor research in an effort to ultimately find the cure.